Part of Sacajawea’s school mission is to “compassionately educate for human greatness as an inclusive community.” However, racism is a far-reaching problem that requires continual and active work to uproot. During the 2015-16 school year, several racist incidents occurred among Sacajawea students. It was an upsetting reminder that the Sacajawea community was not protected from exposure to racism and negative narratives about people of color. 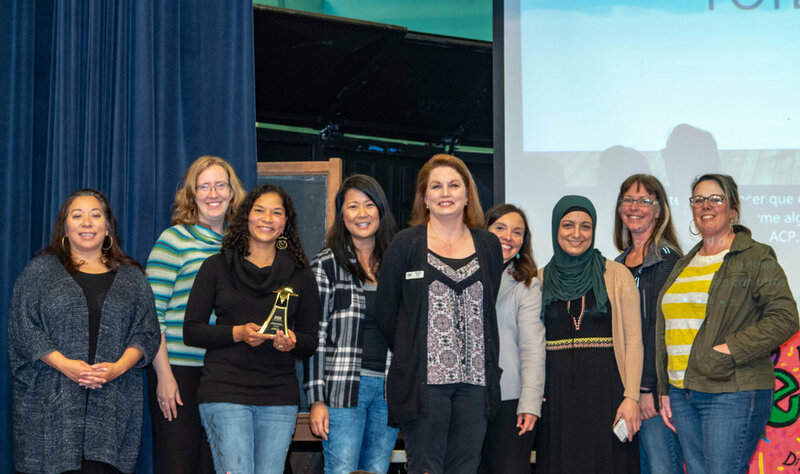 Part of the school’s response was to create the Racial Equity Team to help the staff and community gain the expertise needed to address racism within Sacajawea. The Racial Equity Team was formed in hopes of creating awareness in the community about how racism affects the daily lives of students as well as their families. Its goal is to eliminate or greatly decrease incidents of racism at school as well as in the community at large. Seattle Public Schools has a set of district-wide initiatives aimed at improving equity and closing the achievement gap in schools. These initiatives include My Brother’s Keeper, a mentorship program; RULER, a social-emotional curriculum; Everyday Matters, an attendance program; and the Equity Toolkit, a set of questions to help analyze the racial equity impact of policies and programs. The Racial Equity Team needs your help and involvement to achieve its many goals. Parent meetings are held on the first or second Wednesday of the month at 6pm in the Library. For more information, contact Sac parents: Charlene Shanahan charlene.shanahan@gmail.com or Jennifer Sunami sunami@gmail.com. Here’s this week’s collection of upcoming events in our community. Here’s this weeks collection of community events your family is certain to enjoy! Here’s a great collection of upcoming community events from our Equity Team. Here’s this week’s collection of upcoming community events. Here’s this week’s collection of upcoming community events, compiled by the Equity Team.